I joined Lee's quilt along for the Fair Isle quilt. It took me a long time to cut it out, mostly because I did not want to make a mistake. I had changed some of the colors from her plan so I needed to make sure I was not cutting too many pieces of one color and cutting enough of the other. I spent this week sewing the poinsettia blocks together and I am so happy with the way they look. 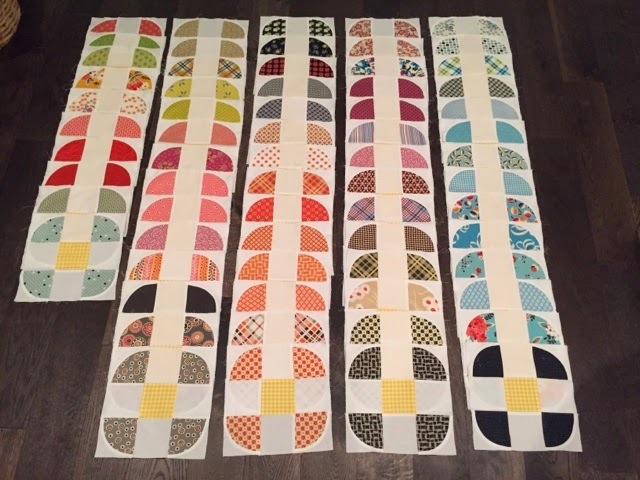 Another project I am working on this week are the Posey Patrol blocks from Dana's book, Imagine Quilts. I'm planning on taking these to work on this weekend when I meet up with some Instagram friends for the first time. One more project is the quilt I am making for my sister's birthday. Trust me, it's a secret so I can't show it here, but it is on my machine and I have started quilting, I hope to show you a finish next week. Thanks for stopping by. 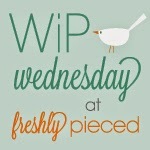 I am linking up with Lee's Work In Progress Wednesday. The suspense is building! Can't wait to see it. Love the poinsettia blocks. I am using the original colors, but now I kind of want to make one in other colors. Maybe I will make another...later on. I can't wait to see the rest. I love the dark background with the poinsetta blocks. I am having the hardest time resisting that quilt, I so love it, but I don't have enough time yet, we shall see next month. 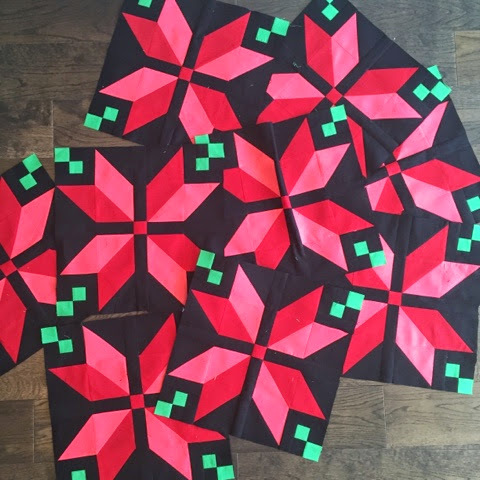 I agree with the consensus- the black background for your poinsettia blocks is an absolute winner! This is going to be a really stunning quilt! But that's no surprise- everything you make Di is! 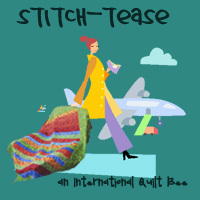 I really like your colour combinations for the Fair Isle Quilt - looking great! Your poinsettias look great. And that other project looks fantastic. I'm still afraid of curved piecing, but it looks like you've nailed it. I just love the poinsettia blocks. They'd be great in a table runner too. Those poinsettia blocks are gorgeous! I too have started the Fair Isle Quilt. I do like your poinsettia blocks on the black background. Very striking and quite lovely. Your Fair Isle quilt is stunning. Love the dark background!